322 st i centrallager. Kontakta oss för att få leveranstid på dessa produkter. 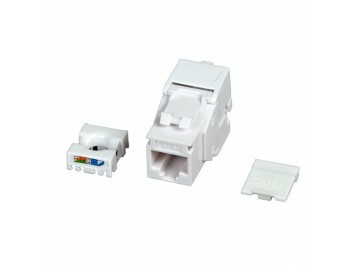 The RJ45 module provides a combination of excellent transmission properties and simple toolless assembly. The high quality of the module guarantees very good properties for 10 Gigabit Ethernet applications. The RJ45 keystone module is in combination with the Patchpanel 37589.1 ETL-certified. Special tool is not necessary. The assembly is quick and easy to realize. 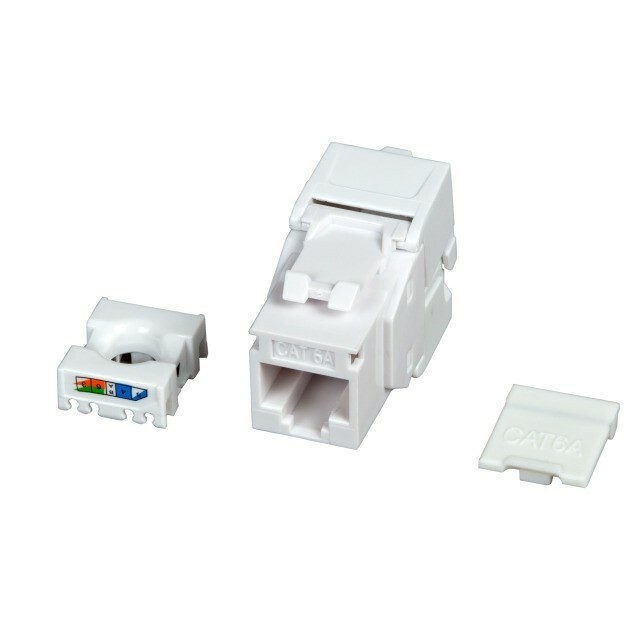 With the RJ45 keystone you get an unshielded module, which offers you a long time good service in your network installation. fråga om "Ecolan® RJ45 Cat.6A Keystone UTP" är framgångsrikt Submitted.